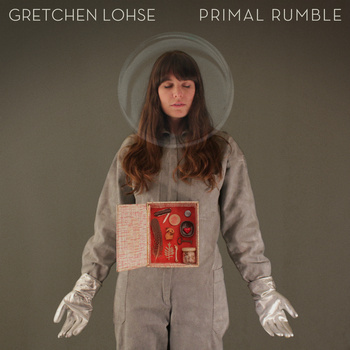 Whimsical lyrics, wistful vocals and the occasional banjo twang make up the sound of Primal Rumble, the newest release from Yellow Humphrey’s Gretchen Lohse. With less of a warrior-like growl and more of a breathy, melodic sigh, Lohse tells folksy stories of heartache, pining, loving and longing that are as undeniably pleasant as they are predictable. While rather charmingly Lohse’s album lacks a certain self-awareness, so too does it resist the kind of instinctive rawness that the title suggests. Where Primal Rumble could be poignant and honest, it instead searches tired romanticism and subsequently settles into a space that is sweet, but aloof. It’s a shame because all of the pieces of a brilliant album initially seem to be in place. Tracks such as ‘All Along The River’ and ‘Bonesetter’ are standout examples of this, showcasing Lohse’s ability to tread confidently the line between delicate and defiant. But the album inspires a yearning, not as a result of the music itself, but because of what is lacking. The intriguing mix of influences (“folklore and silent films”) that are listed in Lohse’s Bandcamp bio are not outwardly evident. Instead, other artists such as Alela Diane, Holly Throsby and Neko Case come to mind as Lohse spins mournful tales full of mythical forests and lost or losing loves. Crucially though, what differentiates Lohse from these artists is less apparent than what it is that makes them alike. The woodsy lyrics on tracks such as ‘Rings,’ and the flute flutter and Joanna Newsom-esque gymnastics on ‘The Cuckoo’ are familiar territory. This is not in itself a negative, as the likes of Case demonstrated with her most recent release. The problem then lies in this familiarity being the hinge on which Primal Rumble hangs, as this sameness sees the depth and range of Lohse’s expression limited to that which has already been expressed. In this way Primal Rumble, in all its intimate solemnity, makes for the perfect backing to a quiet night in. But beyond this, it may struggle to situate itself in the foreground of your memory, and subsequently falls short of carving a truly unique statement of what it is that Lohse has to communicate. This entry was posted in Music and tagged Album, folk, Gretchen Lohse, lipmag, music, Primal Rumble, Review, Yellow Humphrey. Bookmark the permalink.